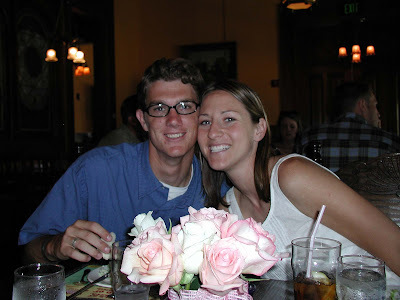 This is a picture is at our rehearsal dinner before our wedding almost 7 years ago. Kipp and I were laughing at how young and skinny we were! One thing that hasn't changed is that Kipp still makes me smile. Sarah - you don't look different.